Dwayne Johnson infiltrates a drug cartel to win his son's freedom in Snitch. 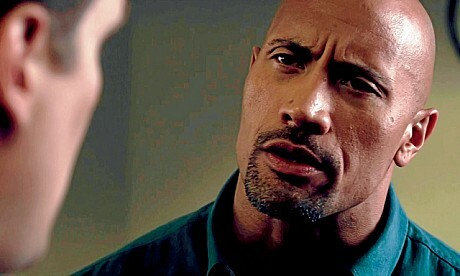 Dwayne “The Rock” Johnson (Faster) gives his acting chops a workout in the action-flavored crime drama-thriller Snitch. Johnson stars as John Matthews, the owner of a construction company, who learns his son faces 10 tough years in a Federal prison for drug possession. Convinced it was a set-up, he volunteers to become an undercover informant and infiltrate a ruthless cartel headed by the nefarious “El Topo” (Benjamin Bratt, La Mission). With his back against the wall and a web of tricky legalities and growing danger tightening around him, his life totally on the line, Matthews must expose the true criminals before they discover his identity. Directed and co-written by Ric Roman Waugh (Felon), the film features a killer supporting cast, which includes Barry Pepper (TV’s The Kennedys), Jon Bernthal (TV’s The Walking Dead), Michael K. Williams (HBO’s Boardwalk Empire), Melina Kanakaredes (TV’s CSI:NY), Nadine Velazquez (Flight), and Susan Sarandon (Arbitrage). Generally well-received by the critics, Snitch grossed a solid $42 million at the U.S. box office during its release to theaters in February, 2013.